“You can totally make these”. First, I cut 24 – 8 inch strips of my candle twine. 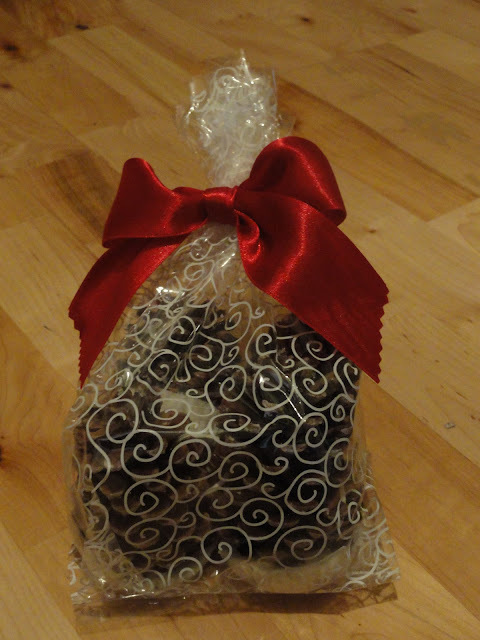 Then I wrapped it around the bottom of each pinecone, like so (see image below). Leaving about 2 inches pulled towards the top for “lighting purposes”. 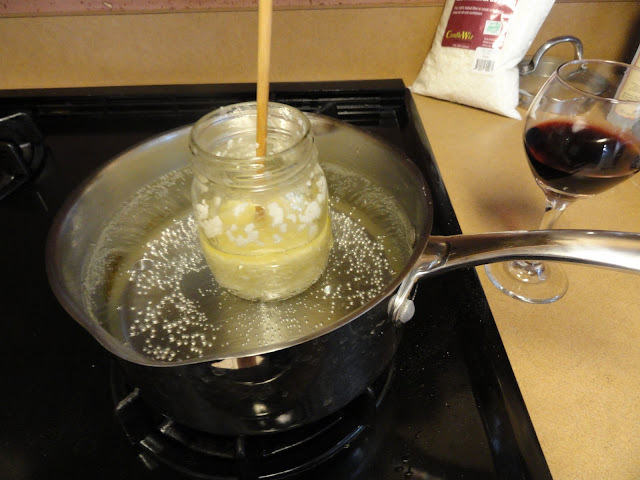 Then in a mason jar (or really any vessel you don’t mind being covered in wax) heat up your wax. It took me a 3 ‘jar and wax’ melts to have enough wax for all of my pinecones. I’m sure I could have used a larger container but my wine kept me occupied. Ahem. Once the wax is melted, pour yourself another glass of wine and add a scent if you’d like smelly pinecones (I used the recomended dose on the bottle). 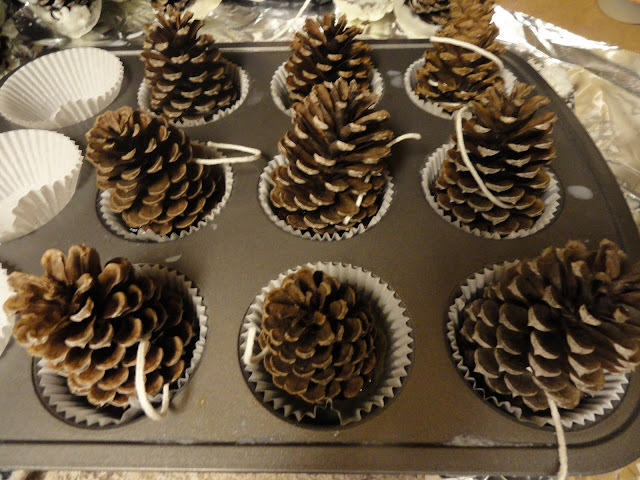 I made sure it was mixed then I poured the wax into the cupcake liners about half way full placing one pine cone in each slot immediately after. Now here’s the hard part, you have to walk way. I know it’s hard but trust me, it’s better for everyone. Leave them alone for about two hours before poking to prevent the wax from getting all jacked up. After they are completely cooled you can peel them out of their liners, or just bag them up as is. With the batch of 24 I had enough to wrap up 5 bags full for gifts and have a dozen or so for Mr. A and I to use here at home. And here’s Mr. A’s proof that they work (ie: light). 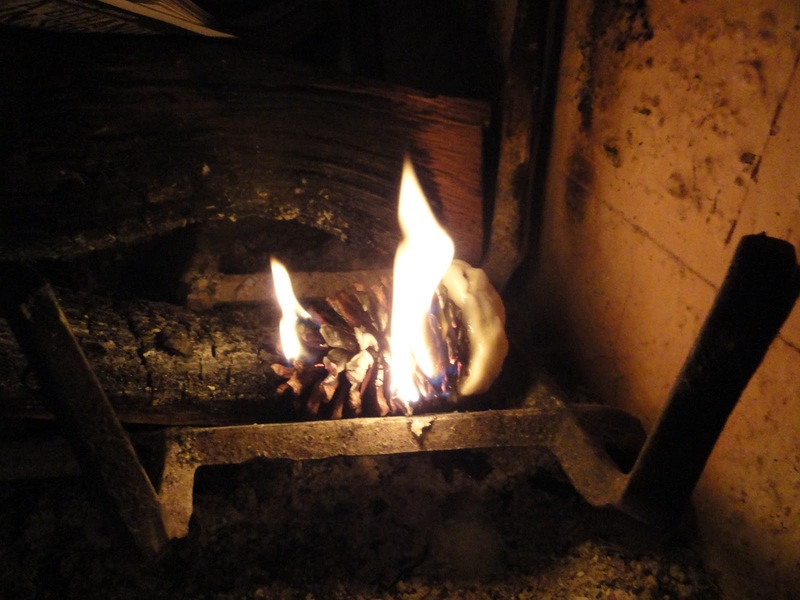 This entry was posted in Year Zero Survival Blog and tagged camping, fire starting, how to make fire, prepping, survival by staff-writer. Bookmark the permalink. 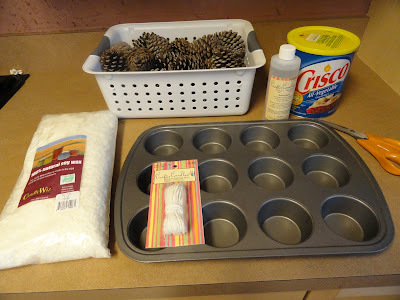 We made these tonight and instead of scented oil, melted in some of the pine scented wax “cubes” and it worked great! They were green so it added color too! I had done something similar to this when I had my farm, 20 some yrs ago. The fireplace we had, came with the house when we bought it & it was HUGE. the fire box was 8 feet wide, 4 feet tall & about 3.5 feet deep. 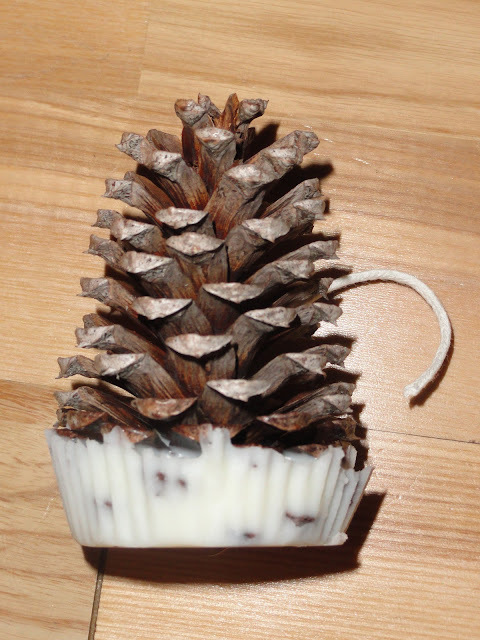 Anyway, what I did was heat up some wax & then soak the pine cones in the wax. 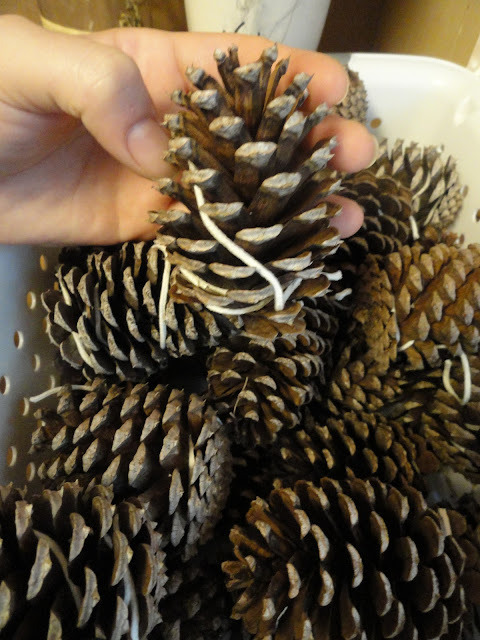 a string was tied to each pine cone prior to soaking, & then the string was used to hange the cones until the wax hardened. later, the same string was used to light the cones. Love your post! Crafty AND funny! My question is: Does the wax melt all over the fireplace, or does it totally burn off? My husband is afraid, even with soy wax, that it’ll leave a residue. He is such a Debbie Downer, but I want to check to make sure I’m right before we try it!!! Thanks so much!